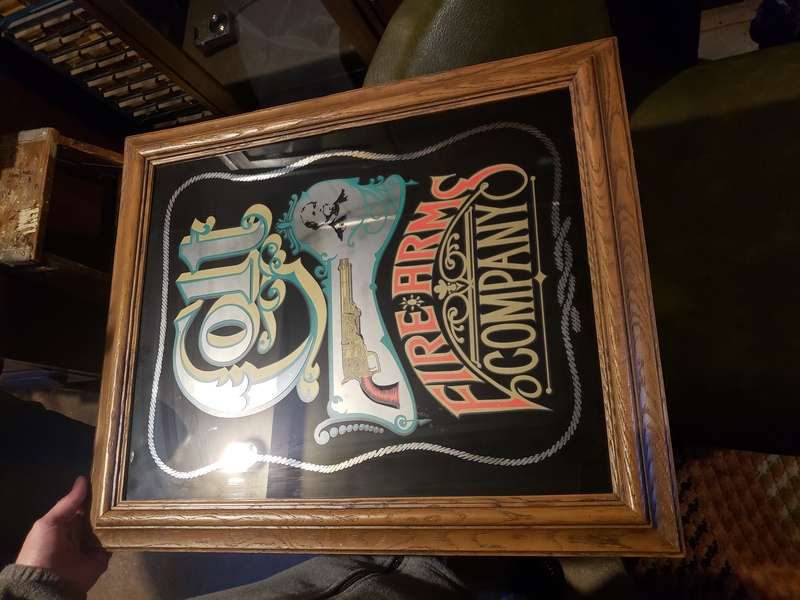 Looking for an approximate value on a Colt Mirror. 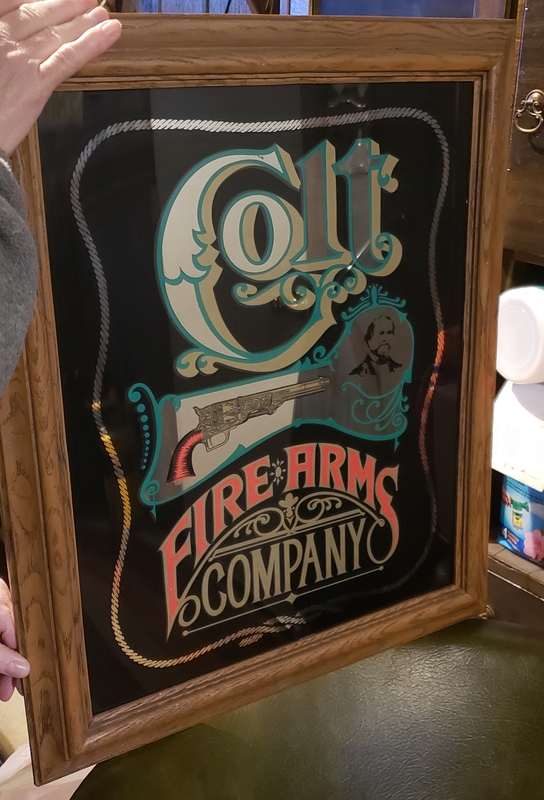 From what I have been told the color around the lettering is unique and holds a lot of value. Your mirror is a reproduction, few of these predate the 1980's when decorating with "General Store" typeand Victorian items was popular. Most comparbale sell for under $75.00 at auction.